Kostyantyn Kulyk says he has been involved in other probe last month. 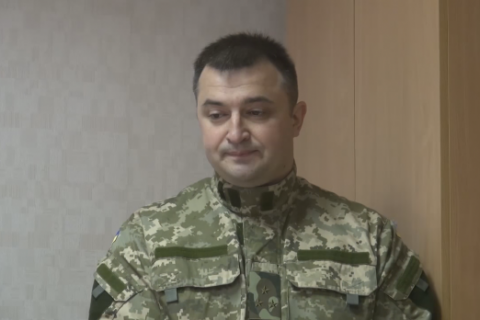 The Solomenskyy district court of Kyiv on 4 July suspended for two months the military prosecutor of the anti-terrorist operation forces Kostyantyn Kulyk, who had been charged of illicit enrichment by Anti-Corruption Prosecutor's Office. Kulyk stated he had not occupied the office of the prosecutor of ATO forces for a month, by being the procedural head in the probe against Serhiy Kurchenko. The prosecutor of the Specialized Anti-Corruption Prosecutor's Office Serhiy Kozachyna dismissed Kulyk's statement as an attempt to politicize the probe. Later in the day, the court must decide on the measure of restraint regarding Kulyk. The National Anti-Corruption Bureau along with Anti-Corruption Prosecutor's Office have charged Kulyk of illicit enrichment. According to earlier media reports, Kulyk was incriminated of purchasing expensive real estate far beyond the level of his income. In addition, Kulyk failed to indicate in his 2013 income statement a Toyota Land Cruiser 100 car, which he began to drive in 2010, based on the power of attorney issued by Volodymyr Zhylin, the father of one of the leaders of the terrorist organization Oplot Yevhen Zhylin.